An original PlayStation control pad. This model was later replaced by the Dual Analog, and then the DualShock. The second conceptions of the PlayStation date back to 1986 in Japan where it was created. Nintendo had been attempting to work with disc technology since the Famicom, but the medium had problems. Its rewritable magnetic nature could be easily erased (thus leading to a lack of durability), and the discs were a copyright infringement danger. Consequently, when details of CDROM/XA (an extension of the CD-ROM format that combines compressed audio, visual and computer data, allowing all to be accessed simultaneously) came out, Nintendo was interested. CD-ROM/XA was being simultaneously developed by Sony and Philips. Nintendo approached Sony to develop a CD-ROM add-on, tentatively titled the “SNES-CD”. A contract was signed, and work began. Nintendo’s choice of Sony was due to a prior dealing: Ken Kutaragi, the person who would later be dubbed “The Father of PlayStation”, was the individual who had sold Nintendo on using the Sony SPC-700 processor for use as the eight-channel ADPCM sound synthesis set in the Super Famicom/SNES console through an impressive demonstration of the processor’s capabilities. Sony also planned to develop another, Atari compatible, Sony-branded console, but one which would be more of a home entertainment system playing both Super Nintendo cartridges and a new CD format which Sony would design. This was also to be the format used in SNES-CD discs, giving a large degree of control to Sony despite Nintendo’s leading position in the video gaming market. The SNES-CD was to be announced at the June 1991 Consumer Electronics Show (CES). However, when Hiroshi Yamauchi read the original 1988 contract between Sony and Nintendo, he realized that the earlier agreement essentially handed Sony complete control over any and all titles written on the SNES CD-ROM format. Yamauchi decided that the contract was totally unacceptable and he secretly canceled all plans for the joint Nintendo-Sony SNES CD attachment. Instead of announcing a partnership between Sony and Nintendo, at 9 a.m. the day of the CES, Nintendo chairman Howard Lincoln stepped onto the stage and revealed that Nintendo was now allied with Philips, and Nintendo was planning on abandoning all the previous work Nintendo and Sony had accomplished. Lincoln and Minoru Arakawa had, unbeknownst to Sony, flown to Philips headquarters in Europe and formed an alliance of a decidedly different nature—one that would give Nintendo total control over its licenses on Philips machines. After the collapse of the joint project, Sony considered halting their research, but ultimately the company decided to use what they had developed so far and make it into a complete, stand alone console. As a result, Nintendo filed a lawsuit claiming breach of contract and attempted, in U.S. federal court, to obtain an injunction against the release of the PlayStation, on the grounds that Nintendo owned the name. The federal judge presiding over the case denied the injunction and, in October 1991, the first incarnation of the new Sony Play Station was revealed. However, it is theorized that only 200 or so of these machines were ever produced. By the end of 1992, Sony and Nintendo reached a deal whereby the “Sony Play Station” would still have a port for SNES games, but Nintendo would own the rights and receive the bulk of the profits from the games, and the SNES would continue to use the Sony-designed audio chip. However, Sony decided in early 1993 to begin reworking the “Play Station” concept to target a new generation of hardware and software. As part of this process the SNES cartridge port was dropped and the space between the names was removed. The PlayStation was launched in Japan on December 3, 1994, North America on September 9, 1995, Europe on September 29, 1995, and Oceania in November 15, 1995. The launch price in the American market was US$299 (a price point later used by its successor, the PlayStation 2), and Sony enjoyed a very successful launch with titles of almost every genre, including Battle Arena Toshinden, Warhawk, Air Combat, and Philosoma. Ridge Racer, however, was not a launch game, despite popular belief. Almost all of Sony’s and Namco’s launch titles went on to spawn numerous sequels. The PlayStation was also able to generate interest with a unique series of advertising campaigns. Many of the ads released at the time of launch were full of ambiguous content which had many gamers rabidly debating their meanings. The most well-known launch ads include the “Enos Lives” campaign, and the “U R Not e” ads (the “e” in “U R Not e” was always colored in red, to symbolize the word “ready”, and the “Enos” meant “ready Ninth Of September”, the U.S. launch date). The Enos ad could also be read as Sony written backward with phonetic sound of “E” replacing the “y”. It is believed that these ads were an attempt to play off the gaming public’s suspicion towards Sony as an unknown, untested entity in the video game market. The PlayStation 3 slogan, “PLAY B3YOND”, resembles this slogan, as the 3 is red. Demo disk 1 that shipped with the PlayStation in Europe. As of September 30, 2007, a total of 7,978 software titles have been released worldwide (counting games released in multiple regions as separate titles). As of March 31, 2007, the cumulative software shipment was at 962 million units. The very last game for the system released in the United States was FIFA Football 2005. The OK and Cancel buttons on most of the Japanese PlayStation games are reversed in their North American and European releases. In Japan, the Circle button (maru, right) is used as the OK button, while the X button (batsu, wrong) is used as Cancel. North American and European releases have the X button or the Circle buttons as the OK button, while either the Square or the Triangle buttons are used as Cancel (some titles like Xenogears used the Circle button for cancelling actions and selections). However, a few games such as Squaresoft’s Vagrant Story, Final Fantasy VII (although players could change the button configuration in-game in the North American and European releases, this brought up problems in certain situations), and Final Fantasy Tactics, Namco’s Ridge Racer Type 4 and Konami’s Metal Gear Solid, have the buttons remain in the same Japanese configurational layout. Some games like Japanese version of Gran Turismo had used different control similar to North American games. These Japanese button layouts still apply to other PlayStation consoles, such as the PlayStation Portable (PSP), PlayStation 2 and the PlayStation 3. This is because in the early years Sony America (SCEA), Sony Europe (SCEE) and Sony Japan (SCEJ) had different development and testing documents (TRCs) for their respective territories. Lasting over 11 years, the PlayStation enjoyed one of the longest production runs in the video game industry. On March 23, 2006, Sony announced the end of production. However, Duel Masters: Sempai Legends!, the last game for the PlayStation was released on September 29, 2006. The PlayStation went through a number of variants during its production run, each accompanied by a change in the part number. From an external perspective, the most notable change was the gradual reduction in the number of external connectors on the unit. This started very early on—the original Japanese launch units (SCPH-1000) had an S-Video port, which was removed on the next release. This also led to the strange situation where the US and European launch units had the same part number series (SCPH-100x) as the Japanese launch units, but had different hardware (Rev. C silicon and no S-Video port)—they were the same as the Japanese SCPH-3000, so for consistency should have been SCPH-3001 and SCPH-3002 (this numbering was used for the Yaroze machines, which were based on the same hardware and numbered DTL-H3000, DTL-H3001, and DTL-H3002). Also, the first models (DTL-H1000, DTL-H1001, DTL-H1002) had some problems with printf function and developers had to use another function instead. This series of machines had a reputation for CD drive problems—the optical pickup sled was made of thermoplastic, and eventually developed wear spots that moved the laser into a position where it was no longer parallel with the CD surface—a modification was made that replaced the sled with a die-cast one with hard nylon inserts, which corrected the problem. With the release of the next series (SCPH-500x), the numbers moved back into sync. A number of changes were made to the unit internally (CD drive relocated, shielding simplified, PSU wiring simplified) and the RCA jacks and RFU power connectors were removed from the rear panel. This series also contained the SCPH-550x and SCPH-555x units, but these appear to have been bundle changes rather than actual hardware revisions. These were followed by the SCPH-700x and SCHP-750x series—they are externally identical to the SCPH-500x machines, but have internal changes made to reduce manufacturing costs (for example, the system RAM went from 4 chips to 1, and the CD controller went from 3 chips to 1). The final revision to the original PlayStation was the SCPH-900x series—these had the same hardware as the SCPH-750x machines with the exception of the removal of the parallel port and a slight reduction in the size of the PCB. The removal of the parallel port was probably partly because no official add-on had ever been released for it, and partly because it was being used to connect cheat cartridges that could be used to defeat the copy protection. The PS one was based on substantially the same hardware as the SCPH-750x and 900x, but had the serial port removed, the controller / memory card ports moved to the main PCB and the power supply replaced with a DC-DC converter that was also on the main PCB. With the early units, many gamers experienced skipping full-motion video or dreaded physical “ticking” noises coming from their PlayStations. The problem appears to have come from poorly placed vents leading to overheating in some environments—the plastic moldings inside the console would warp very slightly and create knock-on effects with the laser assembly. The solution was to ensure the console was sat on a surface which dissipated heat efficiently in a well vented area, or raise the unit up slightly by propping something at its edges. A common fix for already affected consoles was to turn the PlayStation sideways or upside-down (thereby using gravity to cancel the effects of the warped interior) although some gamers smacked the lid of the PlayStation to make a game load or work. Earliest series had potentiometers on the board for adjusting the reading mechanism, named BIAS, GAIN and an unknown one. By connecting a voltmeter between the upper-most metering point near the BIAS potentiometer and the chassis, the resulting voltage could be read. The supposed right values are 1.70V when a CD is spinning at 1x speed and 1.85V when a CD is spinning at 2x speed. Further tuning was also possible on the unique potentiometer present on the CD drive. Later series featured an automatic laser calibration mechanism. Sony then released a version dubbed “Dual Shock”, which included a controller with two analog sticks and a built-in vibration-feedback feature. Another version that was colored blue (as opposed to regular console units that were grey in color) was available to game developers and select press. Later versions of this were colored green—on a technical level, these units were almost identical to the retail units, but had a different CD controller in them that did not require the region code found on all pressed disks, since they were intended to be used with CD-R media for debugging. This also allowed the use of discs from different regions, but this was not officially supported; different debug stations existed for each region. The two different color cases were not cosmetic—the original blue debug station (DTL-H100x, DTL-H110x) contained “Revision B” silicon, the same as the early retail units (these units had silicon errata that needed software workarounds), the green units (DTL-H120x) had Rev. C hardware. As part of the required tests, the user had to test the title on both. Contrary to popular belief, the RAM was the same as the retail units at 2 MB. The firmware was nearly identical—the only significant change was that debug printf()s got sent to the serial port if the title didn’t open it for communications—this used a DTL-H3050 serial cable (the same as the one used for the Yaroze). A white version (SCPH-5903) was also produced that had the ability to play VCDs—this was only sold in Asia, since that format never really caught on anywhere else. From a developer perspective, the white PSX could be treated exactly like any other NTSC:J PlayStation. The installation of a modchip allowed the PlayStation’s capabilities to be expanded, and several options were made available. By the end of the system’s life cycle almost anyone with minimal soldering experience was able to realize the modification of the console. Such a modification allowed the playing of games from other regions, such as PAL titles on a NTSC console, or allowed the ability to play copies of original games without restriction. Modchips allow the playing of games recorded on a regular CD-R. This created a wave of games developed without official approval using free, unofficial tools, as well as the reproduction of original discs. With the introduction of such devices the console was very attractive to programmers and illegal copiers alike. Anyone seeking to create copies of games that would work correctly faced several issues at the time, as the discs that were produced by Sony were designed to be difficult to copy — and impossible to copy on recordable media. Discs were manufactured with a black-colored plastic, transparent only to the infrared radiation used by the CD-ROM drive’s laser. This was found to offer little protection. Additionally, the discs were mastered with a specific wobble in the lead-in area. This wobble encodes a four-character sequence which is checked by the CD-ROM drive’s controller chip. The drive will only accept the disc if the code is correct. This string varies depending on the region of the disk—”SCEI” for NTSC:J machines, “SCEA” for NTSC:U/C machines, “SCEE” for PAL machines and “SCEW” for the Net Yaroze. Since the tracking pattern is pressed into the disc at the time of manufacture, this cannot be reproduced on a CD-R recorder. Some companies (notably Datel) did manage to produce discs that booted on unmodified retail units, but this required special equipment and can only be done with “pressed” discs. However, inexpensive modchips were created that simply injected the code to the appropriate connections to the controller chip, which provided an easy way of bypassing these measures. The other issue is that most PC drives used Mode 1 or Mode 2/Form 1 (2048 bytes/sector) and the PSX uses a mixed-mode format with most data in Mode 2/Form 1 and streaming audio/video data in Mode 2/Form 2, which most CD-R drives at the time could not handle well. Newer drives were able to correctly handle these variations. The creation and mass-production of these inexpensive modchips, coupled with their ease of installation, marked the beginning of widespread console videogame copyright infringement. Also, CD burners were made available around this time. Prior to the PlayStation, the reproduction of copyrighted material for gaming consoles was restricted to either enthusiasts with exceptional technical ability, or others that had access to CD manufacturers. With this console, amateurs could replicate anything Sony was producing for a mere fraction of the MSRP. On earliest series, SCPH-100X and SCPH-3000, it was possible to launch games burned on CD-R without any mod-chip. The trick consisted in starting the console with no game, then going to the CD player application. After inserting an original game, using a small object like a match or a spring, make the lid contactor go down to simulate a closed lid. The CD would spin up and stop, after it was exchanged by another game this time burned on a CD-R. After exiting the CD player application, the PlayStation loads the game thinking it’s an original CD. On later series, this trick was defeated, though it was still possible to realise a double-swap which consisted of launching an original game, the two times the CD-ROM spins to 2x speed and lowers to 1x speed, the original game was exchanged by a copy, twice. This defeated the tighter verifications on newer series, but at a price of wearing out the CD-ROM motor. A version of the PlayStation called the Net Yaroze was also produced. It was more expensive than the original PlayStation, colored black instead of the usual gray, and most importantly, came with tools and instructions that allowed a user to be able to program PlayStation games and applications without the need for a full developer suite, which cost many times the amount of a PlayStation and was only available to approved video game developers. Naturally, the Net Yaroze lacked many of the features the full developer suite provided. Programmers were also limited by the 2 MB of total game space that Net Yaroze allowed. The amount of space may seem small, but games like Ridge Racer ran entirely from the system RAM (except for the streamed music tracks). It was unique in that it was the only officially retailed Sony PlayStation with no regional lockout; it would play games from any territory. It would not however play CDR discs, so it was not possible to create self-booting Yaroze games without a modified Playstation. PS one with LCD screen and a DualShock controller. The PlayStation 1 (also PSone, PSOne, or PS1), launched in 2000, is Sony’s smaller, redesigned version of its PlayStation video game console. The PS one is considerably smaller than the original PlayStation (dimensions being 38 mm × 193 mm × 144 mm versus 45 mm × 260 mm × 185 mm). It was released on July 7, 2000, and went on to outsell all other consoles—including Sony’s own brand-new PlayStation 2—throughout the remainder of the year. Sony also released a small LCD screen and an adaptor to power the unit for use in cars. The PS one is fully compatible with all PlayStation software. The PlayStation is now officially abbreviated as the “PS1” or “PS one.” There were three differences between the “PS one” and the original, the first one being cosmetic change to the console, the second one was the home menu’s Graphical User Interface, and the third being added protection against the modchip by changing the internal layout and making previous-generation modchip devices unusable. The PS one also lacks the original PlayStation’s parallel and serial ports. The serial port allowed multiple consoles to be connected for multiplayer or for connecting a console to debugging software. SCPH-1000 Original (Grey) Unknown (09/22/94) Rev. A NTSC-J Yes Yes Yes No FMV skipping issues. S-Video direct out. SCPH-1001 Original (Grey) 2.2 (12/04/95) Rev. B NTSC-U/C Yes Yes Yes No FMV skipping issues. Based on SCPH-3000 series. SCPH-1002 Original (Grey) 2.0 (05/10/95) Rev. B PAL Yes Yes Yes No FMV skipping issues. Based on SCPH-3000 series. SCPH-1002 Original (Grey) 2.1 (07/17/95) Rev. B PAL Yes Yes Yes No FMV skipping issues. Based on SCPH-3000 series. SCPH-1002 Original (Grey) 2.2 (12/04/95) Rev. B PAL Yes Yes Yes No FMV skipping issues. Based on SCPH-3000 series. SCPH-3000 Original (Grey) 1.1 (01/22/95) Rev. B NTSC-J Yes Yes Yes No FMV skipping issues. Earliest units had a PU-7 board, further units featured a PU-8 board like SCPH-1002. SCPH-3500 Original (Grey) 2.1 (07/17/95) Rev. B NTSC-J Yes Yes Yes No FMV skipping issues. SCPH-5000 Original (Grey) 2.2 (12/04/95) Rev. C NTSC-J No Yes Yes No CD-ROM drive re-located on right side of CD bay. Lens carriage reinforced and power simplified, fixing FMV skipping issues. A/V direct out and RFU power connector removed. Model numbers synchronized worldwide. SCPH-5001 Original (Grey) Unknown (Unknown) Rev. C NTSC-U/C No Yes Yes No CD-ROM drive re-located on right side of CD bay. Lens carriage reinforced and power simplified, fixing FMV skipping issues. A/V direct out and RFU power connector removed. Model numbers synchronized worldwide. SCPH-5002 Original (Grey) Unknown (Unknown) Rev. C PAL No Yes Yes No CD-ROM drive re-located on right side of CD bay. Lens carriage reinforced and power simplified, fixing FMV skipping issues. A/V direct out and RFU power connector removed. Model numbers synchronized worldwide. SCPH-5003 Original (Grey) Unknown (Unknown) Rev. C NTSC-J No Yes Yes No CD-ROM drive re-located on right side of CD bay. Lens carriage reinforced and power simplified, fixing FMV skipping issues. A/V direct out and RFU power connector removed. Model numbers synchronized worldwide. SCPH-5500 Original (Grey) 3.0 (09/09/96) Rev. C NTSC-J No Yes Yes No CD-ROM drive re-located on right side of CD bay. Lens carriage reinforced and power simplified, fixing FMV skipping issues. A/V direct out and RFU power connector removed. Model numbers synchronized worldwide. SCPH-5501 Original (Grey) 3.0 (11/18/96) Rev. C NTSC-U/C No Yes Yes No CD-ROM drive re-located on right side of CD bay. Lens carriage reinforced and power simplified, fixing FMV skipping issues. A/V direct out and RFU power connector removed. Model numbers synchronized worldwide. SCPH-5502 Original (Grey) 3.0 (01/06/97) Rev. C PAL No Yes Yes No CD-ROM drive re-located on right side of CD bay. Lens carriage reinforced and power simplified, fixing FMV skipping issues. A/V direct out and RFU power connector removed. Model numbers synchronized worldwide. SCPH-5503 Original (Grey) Unknown (Unknown) Rev. C NTSC-J No Yes Yes No CD-ROM drive re-located on right side of CD bay. Lens carriage reinforced and power simplified, fixing FMV skipping issues. A/V direct out and RFU power connector removed. Model numbers synchronized worldwide. SCPH-5552 Original (Grey) 3.0 (01/06/97) Rev. C PAL No Yes Yes No CD-ROM drive re-located on right side of CD bay. Lens carriage reinforced and power simplified, fixing FMV skipping issues. A/V direct out and RFU power connector removed. Model numbers synchronized worldwide. A very rare Men in Black promotional model exists with a black case and the film’s logo on the CD lid. SCPH-5903 Original (White) Unknown (Unknown) Rev. C NTSC-J Yes Yes Yes No CD-ROM drive re-located on right side of CD bay. Lens carriage reinforced and power simplified, fixing FMV skipping issues. A/V direct out and RFU power connector removed. Model numbers synchronized worldwide. Only model capable of playing Video CD movies. This model also has RCA plugs, like earlier Playstation models. SCPH-7000 Original (Grey) 4.0 (08/18/97) Rev. C NTSC-J No Yes Yes Yes DualShock now standard. Introduction of Sound Scope. Major manufacturing cost reductions took place from this model onwards. The number of memory chips and CD-ROM controllers were reduced, other components were simplified. Available in midnight blue as promotional item to celebrate the 10 millionth PlayStation sold. SCPH-7001 Original (Grey) 4.1 (12/16/97) Rev. C NTSC-U/C No Yes Yes Yes DualShock now standard. Introduction of Sound Scope. Major manufacturing cost reductions took place from this model onwards. The number of memory chips and CD-ROM controllers were reduced, other components were simplified. Available in midnight blue as promotional item to celebrate the 10 millionth PlayStation sold. SCPH-7002 Original (Grey) 4.1 (12/16/97) Rev. C PAL No Yes Yes Yes DualShock now standard. Introduction of Sound Scope. Major manufacturing cost reductions took place from this model onwards. The number of memory chips and CD-ROM controllers were reduced, other components were simplified. Available in midnight blue as promotional item to celebrate the 10 millionth PlayStation sold. SCPH-7003 Original (Grey) 3.0 (11/18/96) Rev. C NTSC-J No Yes Yes Yes DualShock now standard. Introduction of Sound Scope. Major manufacturing cost reductions took place from this model onwards. The number of memory chips and CD-ROM controllers were reduced, other components were simplified. SCPH-7500 Original (Grey) Unknown (Unknown) Rev. C NTSC-J No Yes Yes Yes DualShock now standard. Introduction of Sound Scope. Major manufacturing cost reductions took place from this model onwards. The number of memory chips and CD-ROM controllers were reduced, other components were simplified. SCPH-7501 Original (Grey) 4.1 (12/16/97) Rev. C NTSC-U/C No Yes Yes Yes DualShock now standard. Introduction of Sound Scope. Major manufacturing cost reductions took place from this model onwards. The number of memory chips and CD-ROM controllers were reduced, other components were simplified. SCPH-7502 Original (Grey) 4.1 (12/16/97) Rev. C PAL No Yes Yes Yes DualShock now standard. Introduction of Sound Scope. Major manufacturing cost reductions took place from this model onwards. The number of memory chips and CD-ROM controllers were reduced, other components were simplified. SCPH-7503 Original (Grey) 4.1 (12/16/97) Rev. C NTSC-J No Yes Yes Yes DualShock now standard. Introduction of Sound Scope. Major manufacturing cost reductions took place from this model onwards. The number of memory chips and CD-ROM controllers were reduced, other components were simplified. SCPH-9000 Original (Grey) 4.0 (08/18/97) Rev. C NTSC-J No No Yes Yes Parallel port removed. Motherboard PCB reduced in size. SCPH-9001 Original (Grey) 4.1 (12/16/97) Rev. C NTSC-U/C No No Yes Yes Parallel port removed. Motherboard PCB reduced in size. SCPH-9002 Original (Grey) 4.1 (12/16/97) Rev. C PAL No No Yes Yes Parallel port removed. Motherboard PCB reduced in size. SCPH-9003 Original (Grey) Unknown (Unknown) Rev. C NTSC-J No No Yes Yes Parallel port removed. Motherboard PCB reduced in size. SCPH-100 PS one (White) 4.3 (03/11/00) Rev. C NTSC-J No No No Yes Redesigned smaller case. Controller and memory card ports integrated onto motherboard. Serial port removed. Has external power supply. SCPH-101 PS one (White) 4.5 (05/25/00) Rev. C NTSC-U/C No No No Yes Redesigned smaller case. Controller and memory card ports integrated onto motherboard. Serial port removed. Has external power supply. SCPH-102 PS one (White) 4.4 (03/24/00) Rev. C PAL No No No Yes Redesigned smaller case. Controller and memory card ports integrated onto motherboard. Serial port removed. Has external power supply. SCPH-102 PS one (White) 4.5 (05/25/00) Rev. C PAL No No No Yes Redesigned smaller case. Controller and memory card ports integrated onto motherboard. Serial port removed. Has external power supply. SCPH-103 PS one (White) Unknown (Unknown) Rev. C NTSC-J No No No Yes Redesigned smaller case. Controller and memory card ports integrated onto motherboard. Serial port removed. Has external power supply. DTL-H1000 Original (Blue) Unknown (09/22/94) Rev. A NTSC-J Yes Yes Yes No Low quality CD-ROM drive. S-Video direct out. Debugger. Can boot games from any region and CD-R copies. DTL-H1000H Original (Grey) 1.1 (01/22/95) Rev. B NTSC-J Yes Yes Yes No Low quality CD-ROM drive. Debugger. Can boot games from any region and CD-R copies. DTL-H1001 Original (Blue) 2.0 (05/07/95) Rev. B NTSC-U/C Yes Yes Yes No Low quality CD-ROM drive. Debugger. Can boot games from any region and CD-R copies. DTL-H1001H Original (Grey) Unknown (Unknown) Rev. B NTSC-U/C Yes Yes Yes No Low quality CD-ROM drive. Debugger. Can boot games from any region and CD-R copies. DTL-H1002 Original (Blue) 2.0 (05/10/95) Rev. B PAL Yes Yes Yes No Low quality CD-ROM drive. Debugger. Can boot games from any region and CD-R copies. DTL-H1100 Original (Blue) 2.2 (03/06/96) Rev. B NTSC-J Yes Yes Yes No Low quality CD-ROM drive. Debugger. Can boot games from any region and CD-R copies. Has external power supply. DTL-H1101 Original (Blue) 2.1 (07/17/95) Rev. B NTSC-U/C Yes Yes Yes No Low quality CD-ROM drive. Debugger. Can boot games from any region and CD-R copies. Has external power supply. DTL-H1102 Original (Blue) 2.1 (07/17/95) Rev. B PAL Yes Yes Yes No Low quality CD-ROM drive. Debugger. Can boot games from any region and CD-R copies. Has external power supply. DTL-H1200 Original (Green) 2.2 (12/04/95) Rev. C NTSC-J Yes Yes Yes No Low quality CD-ROM drive. Debugger. Can boot games from any region and CD-R copies. Will not display PAL video mode. DTL-H1201 Original (Green) 2.2 (12/04/95) Rev. C NTSC-U/C Yes Yes Yes No Low quality CD-ROM drive. Debugger. Can boot games from any region and CD-R copies. Will not display PAL video mode. DTL-H1202 Original (Green) 2.2 (12/04/95) Rev. C PAL Yes Yes Yes No Low quality CD-ROM drive. Debugger. Can boot games from any region and CD-R copies. Will not display NTSC video mode. DTL-H3000 Original (Black) Unknown (Unknown) Rev. B NTSC-J Yes Yes Yes No Low quality CD-ROM drive. Net Yaroze hobbyist development system. Can boot games from any region but not CD-R copies. DTL-H3001 Original (Black) 2.2 (12/04/95) Rev. B NTSC-U/C Yes Yes Yes No Low quality CD-ROM drive. Net Yaroze hobbyist development system. Can boot games from any region but not CD-R copies. DTL-H3002 Original (Black) 2.2 (12/04/95) Rev. B PAL Yes Yes Yes No Low quality CD-ROM drive. Net Yaroze hobbyist development system. Can boot games from any region but not CD-R copies. Sony’s successor to the PlayStation is the PlayStation 2, which is backward compatible with its predecessor in that it can play almost every PlayStation game. Unlike emulators that run on a PC, the PlayStation 2 actually contains the original PlayStation processor, allowing games to run exactly as they do on the PlayStation. For PlayStation 2 games this processor, called the IOP, is used for input and output (memory cards, DVD drive, network, and hard drive). Like its predecessor, the PlayStation 2 is based on hardware developed by Sony itself. The third generation of the PlayStation known as the PlayStation 3 (abbreviated PS3), was launched on November 17, 2006 in Japan, November 17, 2006 in North America, and March 23, 2007 in Europe. 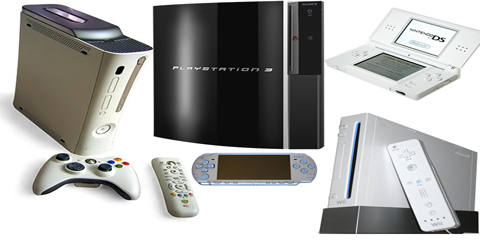 The PlayStation 3 was initially backward compatible with all games that were originally made for the first PlayStation, but due to the removal of the PlayStation 2 chipset after the introduction of the 40 GB version, that capability is limited now to emulation. While PS3 games are not region-locked, PlayStation games still only play on a PS3 console from the same territory. The PlayStation Portable (officially PSP) is a handheld game console first released in late 2004. The PSP is capable of playing PlayStation games downloaded via Sony’s online store, and can also play any PlayStation game by using the PlayStation 3’s remote play feature while the disc in the PlayStation 3. Sony hopes to release nearly all PlayStation games on a gradual basis. It is also possible to convert original PlayStation disc images into executable binaries using freely available software. These games are then playable on PSPs that have been modified to run unsigned code. A 60 GB PlayStation 3 unit, alongside its packaging box and a Sixaxis controller. The success of the PlayStation is widely believed to have influenced the demise of the cartridge-based home console. While not the first system to utilize an optical disc format, it was the first success story, and ended up going head-to-head with the last major home console to rely on proprietary cartridges—the Nintendo 64. Nintendo was very public about its skepticism toward using CDs and DVDs to store games, citing longer load times and durability issues. It was widely speculated that the company was even more concerned with copyright infringement, given its substantial reliance on licensing and exclusive titles for its revenue. The increasing complexity of games (in content, graphics, and sound) pushed cartridges to their storage limits and this fact began to turn off third party developers. Also, CDs were appealing to publishers due to the fact that they could be produced at a significantly lower cost and offered more flexibility (it was easy to change production to meet demand). In turn, they were able to pass the lower costs onto consumers. One major industry disadvantage of CDs was illegal copying due to the advent of CD burners and mod chips. Despite this drawback for CDs, Sony still supported them over cartridges, and has helped bring the concept of using CDs as a storage device for video games. And while helping forward this idea, they have had great success with it: the PlayStation has sold over 100 million consoles worldwide. The PlayStation’s production was discontinued on March 23, 2006. The first batch of PlayStations used a KSM-440AAM laser unit whose case and all movable parts were completely made out of plastic. Over time, friction caused the plastic tray to wear out—usually unevenly. The placement of the laser unit close to the power supply accelerated wear because of the additional heat, which made the plastic even more vulnerable to friction. Eventually, the tray would become so worn that the laser no longer pointed directly at the CD and games would no longer load. Sony eventually fixed the problem by making the tray out of die-cast metal and placing the laser unit farther away from the power supply on later models of the PlayStation. Some units, particularly the early 100x models, would be unable to play FMV or music correctly, resulting in skipping or freezing. In more extreme cases the PlayStation would only work correctly when turned onto its side or upside down.